Free Diapers and Being Part of a Movement at the Seventh Generation Twitter Party! I participated in this program on behalf of Seventh Generation and The Motherhood. All opinions are my own, as always. Can we talk about something really important for a few minutes? Can we talk about the over-abundance of toxic chemicals in our homes and our world, and just how confusing it is to navigate what is safe and what might not be? This is an issue that concerns me, and also really confuses me. Just when I think I’ve got a handle on things, a new study will come out that gives new information and leaves me scratching my head. Healthy Child, Healthy World and Seventh Generation totally gets this, and they are starting a movement to help us all figure things out. There are more than 80,000 chemicals registered for use in the U.S. Comprehensive pre-market safety testing of these chemicals is not required under any federal law. The primary U.S. law that regulates chemicals in every day products hasn’t been updated in more than 35 years. In the European Union (EU), 1,328 chemicals have been banned for use in personal care products. In the U.S., only 11 chemicals have been banned or restricted by the FDA. Scientific evidence continues to point to the chemicals we are exposed to in our daily lives as causing or contributing to the rise in childhood behavioral disorders and diseases. Cancer is now the leading cause of child-related death in the U.S., exceeded only by injury. Trust me, I know that all the information out there is scary and confusing. I certainly have moments where I just want to plug up my ears and pretend I don’t know anything about this stuff. In the short run, that certainly would be the easier route to take! But I’ve also learned that by joining forces with the right educators and with other parents, developing a clear understanding of the problems AND a clear strategy for how to solve them is very doable. There is strength in numbers, and in knowledge! Will you join me this Thursday, November 14th, at 1pm ET for a Twitter party with Seventh Generation? We’re going to talk about all-natural baby product options. Additionally, you’ll learn about an awesome opportunity called the Healthy Baby Home Party. This is something you can apply to host, and it gives moms and dads a really neat way to engage and educate your family and friends on topics like creating a healthy environment for the next generation. When you host a Healthy Baby Home Party, you also receive all sorts of fun samples and helpful information to distribute to your guests! Very fun! Follow the hashtag #HealthyBabyHome and also follow the hosts (@TheMotherhood25, @CooperMunroe, @EmilyMcKhann). See you on Twitter this Thursday at 1pm ET! This is a sponsored post for SheSpeaks/Luvs. All thoughts and opinions expressed here are strictly my own, as always. A few weeks ago we went on a little vacation. While we primarily cloth diaper, I’ve mentioned before that my family chooses to use disposables when we are away from home for more than 6 hours or so. I opted to take this particular brand of diapers for daytime use. 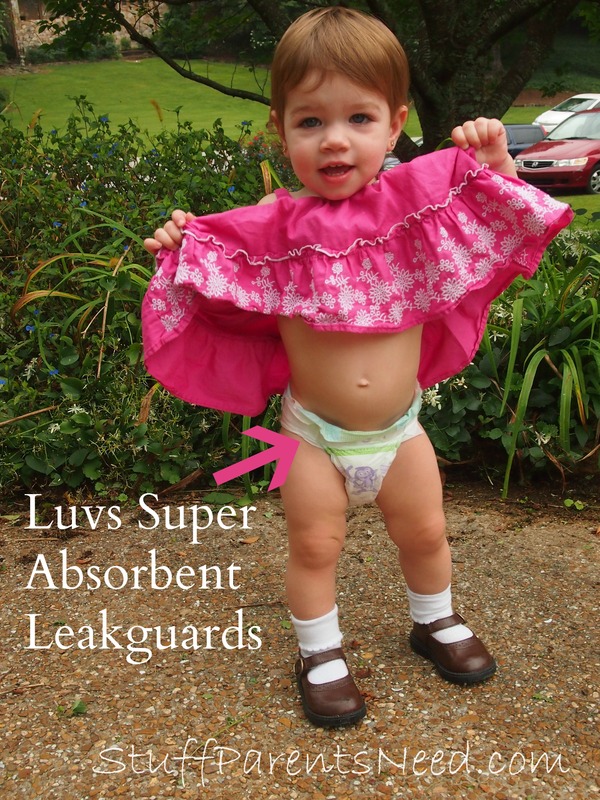 These are Luvs Super Absorbent Leakguards, and this particular version is only available at Walmart. It can absorb 15% more than its counterparts, making it an extremely effective diaper at a very affordable price (.16/diaper for size 3!). As the campaign states, the clue is in the blue, so just look for that blue “super absorbent leakguards” seal on the package when you go to purchase. These diapers worked absolutely great during the day. We didn’t encounter a single problem with them, no matter the contents of the diaper (and I think you know what I’m talking about here!). No diaper worries means more time to play and have fun, and that we did! Now most any parent can tell you that there is a distinct difference between the diapers that work well during the day, and those that are needed for night time. Typically kids get their diapers changed every 2 hours or so during the day, but at night they could go as long as 12 hours in just one diaper. So that diaper has to be ready to work REALLY hard! I hadn’t planned on even trying these Luvs diapers overnight, as we have found a brand of overnight disposables that we like just fine. But when we reached for those diapers during our out-of-town trip, we realized that neither one of us had actually packed them. Oops! We had no choice but to give the Luvs diapers a try. And guess what? They worked!!! We used them 3 nights in a row without a single leak! I have to say, I was really impressed with that. So these diapers get my seal of approval for a great, affordable diaper for day or night. And Layah loves them, too. She thinks the monkey on the diapers is cute and loves to show it off. I have to keep my eye on that one! Have you tried these Luvs diapers, yet? My Thoughts On Swim Diapers After Trying Them…For the First Time! Mommy confession time: until last weekend, I had never EVER purchased or even used swim diapers on my kids. But I noticed a sweet $1.50 off coupon for Huggies Little Swimmers at Target, and decided this was the right time to at least give this product a try. So I headed to Target with my coupon printed and ready to go, and I made my way over to the baby section. Ok, let’s be real. First I stopped by the clearance racks of the women’s clothing department (finds included a $9 red belted dress, a $15 teal green blazer and a $4 emerald green tank top. Score!!!). So after that most excellent diversion, I went to the baby section and I located the #Huggiesswimmers diapers. I made sure it was a match with my coupon, and then loaded it into my cart. Over the weekend, I certainly didn’t have to twist anyone’s arms to go outside and play with the water table. It is a source of much fun for my girls, and I love it, too, because I can hang back a little bit while they play and read an interesting book check Facebook. I learned from the very first time that they played with the splash table to have them in swimsuits, or at the very least, to have them in clothes that could get COMPLETELY soaked. And if you add a little dish soap to the water…get ready for miles of smiles! One thing I noticed about the Huggies Little Swimmers is that they were very trim and didn’t stick out much from the sides of the swimsuit. My cloth diapers definitely stick out much more than this, so I thought that aesthetically, the Little Swimmers looked a lot better. Layah loved the water so much that she insisted on sitting in the splash table to finish up her play time. Surely this would be the ultimate test for the diaper….time to get completely SOAKED!!! My jaw actually dropped when I pulled her out. This “soaked” diaper is no fluffier than it was when it was dry. That means that she is weighted down by a water-logged hiney while she continues her play. If I put an insert into her cloth diaper when she is doing water play (which I often do), then this is BIG difference between what I normally use and Huggies Little Swimmers. I was totally skeptical of this product, but I have to tell you honestly: I’m really impressed with it. Aside from outside play at our house, I’m actually really looking forward to using these any time we go swimming somewhere. If I’m carrying Huggies Little Swimmers with us on the splash park, for example, I don’t have to bring home a soggy, wet diaper to clean. That makes for less mess for me. We are all headed to a conference later this month out of town and there are several swimming options there. If I had been using cloth for the trip, I would have had a few days’ worth of really wet diapers to bring back home. That would have been pretty gross, and I would have even been putting the diapers at risk of getting moldy. So now that I think about it, it would have been a really bad idea to take cloth. With Huggies Little Swimmers, I don’t have to worry about that! Is your little one rockin’ the swim diaper this year? Am I the only mama on the planet who hadn’t tried them until recently? If you’ve got them on your shopping list, don’t forget about that great coupon for $1.50 off at Target! Store Brand Diaper Makeover: Rite Aid Tugaboos Get An Upgrade! This is a sponsored post written by me on behalf of Rite Aid Tugaboos diapers. All thoughts and opinions expressed here are strictly my own. Well, folks, we are on the road again. Tim and I decided to take the girls to a castle this weekend. Well, I suppose it it the American equivalent of a castle (we’re going to check out the Biltmore Estate in Asheville). Darah is talking nonstop about princesses and asking me if the people who work there will call her, “your majesty” while she is visitng. Kids are so hilarious! I had to fight against the urge to just stay home, if I’m being completely honest. I love history and architecture and just seeing new things, in general, but this season of life (having very young children) is a really hard one for traveling, as being able to adapt our schedule (sleeping times, snack times, diaper changing needs) to a new environment can sometimes feel like more hassle than it is worth. You may have never even seen this brand of diapers before. They are a store brand (specifically, Rite Aid) and they are called Tugaboos. Store brand diapers often have the reputations of being sort of ok for day time use as long as you aren’t going anywhere and as long as you can change them more frequently than you would with a more premium diaper. They don’t ususally have the highest absorbtion level or the best leak protection, so you are a little more at risk for problems when you use them. So why am I traveling with only these diapers for day time use? Because the Tugaboos line recently made some upgrades to their diapers, including faster absorbtion and increased leakage protection. They also offer hypoallergenic inner liners (very important for my sensitive toddler) and stretchy side panels that are great for little miss wiggle worm. I also appreciate that they have a soft, cotteny feel (as a primarily cloth diapering family, disposables can feel SO scratchy and itchy in comparison…these feel nice!). I suggest you give Rite Aid Tugaboos a try. And through the end of June, every time you purchase Tugaboos diapers at Rite Aid using your wellness+ card, you’ll get an entry into a sweepstakes for a Vera Bradley Designer Diaper Bag! Now that’s an accessory fit for the moms of princes and princesses! Join Me for the StorkNest Twitter Party 12/4 at 2pm EST For Diaper Talk and Great Prizes! One of the reasons I continue to blog nearly every day is because I truly love sharing info about really great companies with all of you. Today I’m featuring a company that hasn’t even launched, but it is so committed to engaging with is customers in meaningful conversation that it already has a Twitter party planned. I love that, you guys! The company is Called Stork Nest, and I will be one of their panelists at their Twitter party on 12/4 from 2pm-3pm EST. I would love it SO much if my readers were there to hang out with me and talk! We’ll be using the #StorkNest hashtag. 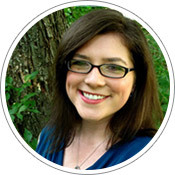 Here’s a link to get yourself RSVP’d for the party: http://resourcefulmommy.com/11096/stork-nest-twitter-party/. If you have a little one in diapers, then learning about Stork Nest is a very good idea, indeed. This company is going to be selling unique diaper, training pant and youth pant brands at LOWER prices that you can find ANYWHERE else. This company is going to manufacture its own diapers, thus cutting out the middle man. In the beginning brands like Fisher-Price and Fittit diapers and training pants will be offered, and as the site grows, it will partner with different baby product manufacturers to expand its product offerings. The focus will be on trust worthiness of the products and affordability. Ten winners will receive a case (a one month supply) of Fisher-Price daytime diapers in the size of choice. Imagine having all your diaper needs handled for the next month! Score! Additionally, ALL participants are going to receive a discount code to use at StorkNest.com. So on top of the lowest prices that will be offering, you’ll get an even LOWER price because you came to the party. Stork Nest is also hosting a Facebook contest, and you are most definitely going to want to enter this, as well. It is currently live, and ends December 31st. But don’t delay, because the prizes, once again, are AWESOME! It’s called the EcoBundles Cutest Baby Photo Contest. EcoBundles is a diaper and training pants brand that is exclusive to StorkStack and that is a bit more eco-friendly than traditional disposable diapers. There will be two winners for this contest, and just wait until you hear what the prize is. Winners will be featured on the packaging of a size of EcoBundles diapers (so your baby becomes the face of the product!!!). There will be a photo shoot for the packaging and the parents get to keep the professional pictures of their baby. Additionally, winners receive a year’s worth of free diapers from the Fisher-Price brand. A YEAR’S WORTH OF DIAPERS!!!!!!!!!! Wrap your head around that one, people! And every single entrant into the photo contest will receive a Buy One Get One Free coupon to use on StorkNest.com. So you’ll get some diapers for 50% off, basically. Which is pretty darn sweet. Thanks to Stork Nest for sponsoring my involvement in this rockin’ Twitter party. All thoughts and opinions expressed here are strictly my own. Oh Katy One Size Pocket Diaper Review and GIVEAWAY!!! Today I’m bringing you a video review of the Oh Katy One Size Pocket Diaper. You do not want to miss seeing what is so unique about their inserts, so check it out! And aren’t all the colors this diaper comes in just fabulous? Silver is my favorite, but I’m also swooning over twilight and violet! You can purchase these diapers for $17.95 each. Oh Katy offers $5 flat rate shipping, too! AND, for the entire month of July, if you purchase 4 diapers you get 1 free! That’s like getting 20% off! Woo hoo! Win it! : One lucky Stuff Parents Need reader will win an Oh Katy One Size Pocket Diaper in your choice of colors! BabyKicks NEW Premium Pocket Diaper Review and GIVEAWAY!!! Today I’m pleased to be featuring a new diaper from BabyKicks! It’s called the Premium Pocket Diaper and it has several really impressive and clever features. Check out my video to see just what this diper has to offer! My personal favorite aspects of the diaper are the air gussets (which I thought was going to be my least favorite! ), the JoeyBunz insert and the newborn snap. Great design, BabyKicks! Win it! : One lucky Stuff Parents Need reader will win a BabyKicks Basic Pocket Diaper! Lotus Bumz is a cloth diaper company started by a mother named Lorain who saw the need for affordable cloth diapering options on the market. She has, in my opinion, come pretty darn close to perfecting the pocket diaper, all thanks to one especially clever feature, which I’ll tell you about shortly! I was sent the one size pocket diaper in a cute star pattern (they do offer newborn pocket diapers, as well). We had to wait about a month after Layah was born to start using the diaper. Layah was 7 pounds 3 ounces when she was born, and was right around 9 pounds at 4 weeks. I will tell you that for the first week or two that we used the diaper, we had inconsistent results with it, in the form of leaks out of the legs (a problem we seem to frequently have with Layah in most cloth diapers). I think that Lotus Bumz simply require a little bit chunkier of a leg! Now that we are further along and Layah has really started to chunk up big time, we aren’t having leaks at all with this diaper. So I don’t think our problems were the fault of the diaper, just a timing thing. I wouldn’t recommend the one size Lotuz Bunz for your newborn, but would definitely say to start using them around 6 or 7 weeks, which is when we started to have good luck with them. Lotus Bumz one size pocket diapers feature 3 rows of snaps so that younger babies and toddlers alike can wear the diaper. Also note that there is a snap on each hip. I think this is a fantastic addition, as it does allow for a more snug fit around the legs, which as we discussed, is very important for Layah. But the feature that I’m absolutely bonkers about, and that I think catapults Lotus Bumz diapers to the top of the pocket diaper pile is the hole in the back where you stuff the diapers. The hole is pretty small. Well, it really isn’t, it just has elastic around it on both the outer and the inner sides, and this keeps the microfiber insert from coming out of the back. Trust me when I say that it is literally a pain in the rear to have your inserts start creeping out the back of your baby’s diaper. When your baby pees and the insert is sticking out, you are about to have one wet mess on your hands! Lotus Bumz nips that problem in the bud by having a back pocket that is not wide open like so many other diapers are. Three cheers for this feature, Lotus Bumz! Lotus Bumz one size pocket diapers are available for just $16.97 in an adorable assortment of patterns and solid colors. You can also stock up and save by ordering 10 diapers at once, and in return, you’ll receive an extra diaper and a wet bag for FREE! Win it! 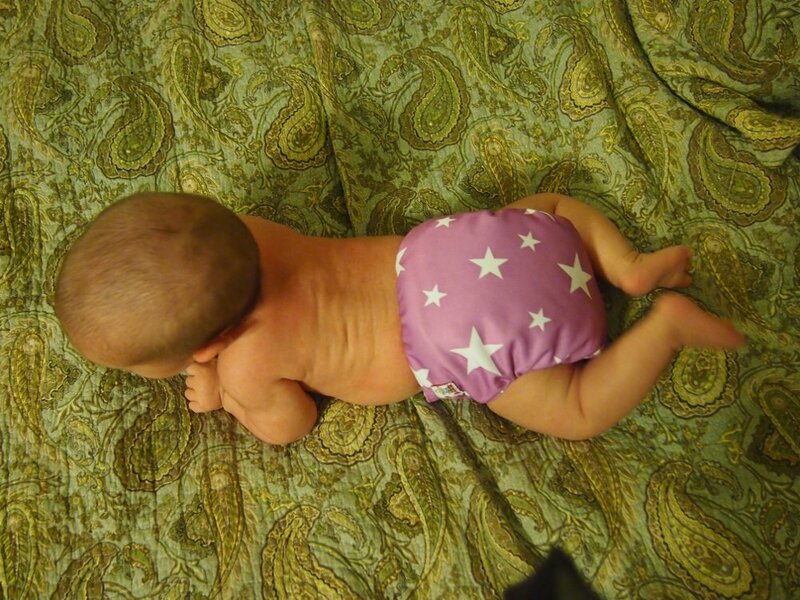 : One lucky Stuff Parents Need reader will win a Lotus Bumz printed pattern diaper! Yay!! !